To my thanks, I have been receiving emails occasionally from various readers in Japan and from overseas. In the present page, and also in the Japanese page , I am going to post some of those communications suitable for open discussions. I wish to make this Web site active, user-friendly, and useful for many new and frequent readers by the support of you, authors, communicators, and readers. Please refer to 'Letters from Readers （English/Japanese）-- Index Page (since 2013)' for previous messages/discussions. Inspired by the paper "Lean-TRIZ instead of TRIZ-Lean" by C.M. Thurnes et al (Germany) , we in Japan recently have some active discussions among the readers of this site. Such email discussions among the seven persons are posted in a separate page in Japanese and some of them (mostly Nakagawa's comments) are posted alsoin a separate page in English translation . Dear Nikolay, Thank you so much for your LinkedIn message 7 days ago. I also appreciate your activities for spreading TRIZ knowledge. All the best to you in your noble and necessary work, Professor Nakagava! It is amazing that in the age of information there is still lack of proper knowledge and awareness about some of the human achievements. And it seems that TRIZ is among them. So that is why your work and dedication to inform people and to spread knowledge is so important! Dear Professor Nakagava - Dear Toru! Thank you for your kind words. 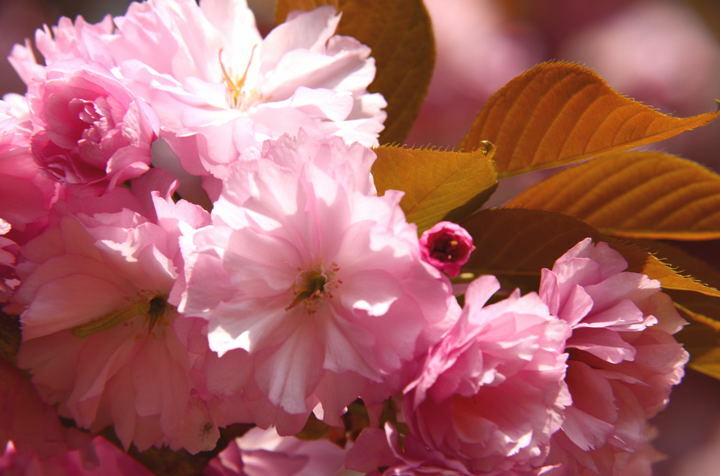 Dear Professor Nakagawa, First I wish you good health. Some Korean TRIZ experts and Mr. S. Saleem Arshad as below have asked me to share my paper with slides that I sent you and then, you posted on your website last month. However, they could not download them though I would like to share them through your website by your strong and cordial asking. So please make to download them easily by anyone who wants to know the TRIZ activities in Korea more soon. Thank you for your message and for your hope of sharing your paper with all TRIZ learners. ETRIA is in a negotiation process of posting all/some of the TFC papers publicly in a Publisher's Web site. Thus ETRIA requested me not to post the English version openly. If they become open, I will make links to their site. Dear Professor Nakagawa, First of all I want to thank you for hosting a really excellent web site, I always look forward to seeing the newest papers and thoughts from TRIZ experts all over the world. Since Ellen Domb's site went away, it is really the best and only portal I know of to contemporary TRIZ research. Now, I want to ask you to not forget to follow up with ETRIA on last month's paper "Methodology: >From Altshuller’s 76 Standard Solutions to a new Set of 111 Standards." I am really looking forward to seeing the English translation when it is available. Dear Bill Fowlkes, Thank you very much for your warm words. I wish that there are some more active and public Web sites on TRIZ. Davide Russo's paper on the new Standards is indeed excellent. You can communicate with the author for getting his original English paper. email: (not shown here) Yes, we need to push the ETRIA leaders to publicize the TFC papers as soon as possible. Thank you very much for publishing my article. You also have put the paper in plain html too, which requires so much work for formatting. I admire and salute your sincerity and dedication to maintain the site for years. I could not manage my websites because of various troubles from domain and server providers. So recently decided to stop all those sites and put articles in ssrn, bepress (http://works.bepress.com/umakant_mishra/) and other blogs/sites. 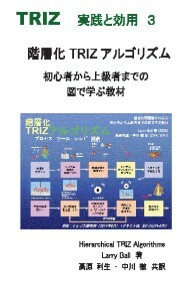 Toru, you might want to take a look at the book on TRIZ that I wrote about 1 1/2 years ago. It is now used in all the public TRIZ training for the American Society of Mechanical Engineers and the American Institute of Chemical Engineers. If you teach – it is a good entertaining addition to your lectures, students improved their grades up to 20% when we started using these videos in teaching innovative product design at the University of Bath (UK). By the way – please recommend your libraries to get PEGASUS for students, we also are happy to negotiate an option of making videos accessible online within University or a company. If you work in industry – you can use these films as lunch-time lectures to support innovative culture within the organisation. A significant part of material we present in this DVD arose from our work for European Space agency and British Ministry of Defence (both project aimed introduction of inventive thinking (TRIZ) into the operations which are highly based on the procedures). PEGASUS video-course in fact replaces one-day introductory TRIZ course and is very useful for everyone who teaches innovation and systematic approach to knowledge transfer. If you would like to learn more, the closest product to PEGASUS was commissioned by the University of Bath for Continuing Professional Development course : https://www.youtube.com/watch?v=z-gBnBfGVZk If you have any questions, please do not hesitate to drop us e-mail. Message for the Japanese Edition of Larry Ball's "Hierarchical TRIZ Algorithms"
Japanese translation by Toshio Takahara and Toru Nakagawa in 2006-2007 (posted in "TRIZ Home Page in Japan"). Dear Toru, Many thanks for the latest update to THPJ. Some of the links are not up at the moment, for instance to letters to editor. Dear Shahid, Thank you so much for you notice. I have just corrected and uploaded the English top page. Absolute passes of my local files are embedded in the open Web page somehow. I don't know why. Sorry for my mistake and not knowing many links are broken for nearly two days. This week from Wednesday (Jul. 2) through Saturday (Jul. 5), I am busy to attend at a lecture series in Tokyo, for listening. Dear Toru Nakagawa. Thank you for your letters. I always read your letters with great pleasure and interest. I always look forward to your new information. With kind regards. Severinets Georgy. Dear Professor Emeritus Toru Nakagawa, Hello! My name is James Kowalick. Ellen Domb and I formally brought TRIZ to the USA, being the first to train corporate top-technical executives (at Cal Tech in Pasadena, California) and the first to establish the TRIZ-Journal website. Thank your for your update notice (below). This letter to you is to inform you about some of my latest ventures (of course I have used TRIZ in all of them). My partner Richard Irwin (legendary in the field of direct mail) and I used TRIZ to break those psychological-inertia barriers which all advertisers have been struggling with, world-wide, for decades. We developed a way to significantly increase advertising response rates. This work was initially conducted and demonstrated throughout Europe, with our partners at that time (Action-Europe) located in Copenhagen, Denmark. Articles about that work have been published by Action-Europe. In the U.S.A., we are applying our magical advertising-algorithms to great advantage for the financial industries. We are the only major advertising group in the U.S. who charges no fees; instead, everything we do for the financial industry (banks, insurance groups, credit unions, etc.) is "Pay for Performance". TRIZ and other tools have heavily assisted us in this regard. Richard and my second application-area is trading in financial markets. We have demonstrated, over the past two years, plus-one-hundred-percent returns on financial markets (stocks, commodities, futures, currency, options, etc). The use of TRIZ and a few other approaches resulted in reducing risk, increasing profitability per trade, and reducing the quantity of 'useless' or 'losing' trades. I want to take this opportunity to thank you, and all those residents of Japan, for your immense contributions to the TRIZ area. Dear Jim, Thank you very much for your message of July 4, and am sorry for my delay in responding you. I very much appreciate that you are kindly communicating with me from time to time. I am now going to update my Home Page soon. Could you allow me to post your message in the 'Letters from Readers' page of my site? Is it possible for you to show me a few URL of your site/works? 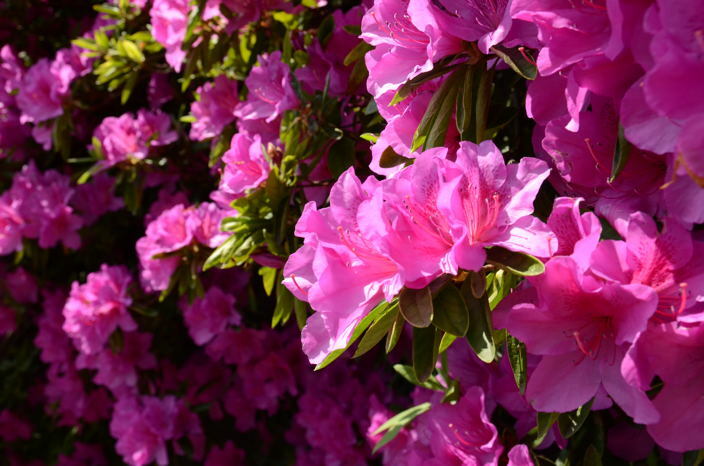 From Readers : Discussions on "TRIZ and Lean (and others)" by 7 people in Japan. International Conf. on Systematic Innovation July 16-18 2014. Plan now for Hong Kong 2015 and Lisbon 2016.